“Finished with my woman ’cause she couldn’t help me with my mind. People think I’m insane ’cause I am frowning all the time.” Those lines don’t even need the backing of guitars or drums to churn a feeling of very raw emotion in my stomach. 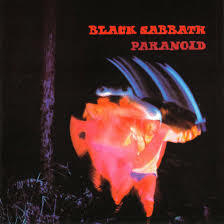 “Paranoid” by Ozzy Osbourne/Black Sabbath was the preferred soundtrack of my pre-high school years. Despite its melancholy and borderline hopeless lyrics, it always seemed to be able to put me into a frenzy that required action of some kind. My music selection at the time came as a surprise to many especially my middle school French teacher, Madame Gowie. Although I’m not quite sure where my ability for languages came from, I was able to display talent even in middle school. Nothing says “cool” in middle school better than being good in French class! Unfortunately I was slightly unaware of what it took to be cool and became one of Madame Gowie’s favorites with the French name of “Pierre Paul” to boot. The first time when I truly disappointed the good Madame was when I brought in a picture of someone famous for description. My magazine picture of Ozzy Osbourne left her in a state of disgust. Her thoughts about Mr. John Michael Osbourne were not positive in the slightest and it possibly changed her thoughts about me. For my own part, I had a much stronger positive feeling toward Mr. Osbourne and the effect he had on my life. So I took up the more normal disposition and disliked French class with my peers. It was almost too easy for Madame Gowie and others to dislike Ozzy Osbourne. He sang loud music that they disliked. His song “Suicide Solution” had been under scrutiny in a court case where a family alleged that the song caused their son’s suicide. He bit the heads off of bats and doves, what was there to like? I’m not trying to portray Ozzy Osbourne as my hero by any stretch of the imagination. My point is that for many people, his “evil” became a way for them to feel more righteous. It is all too common of a practice today that we mask our own weakness and shortcoming by focusing on those who are worse than us. If we are fat, we find the obese or our heavier past to feel good. Do not look to the evil of others to find your righteousness. You should be able to have a sense of pride in who you are and what you do without the disclaimer of comparing yourself to another. It is a shell game that you can’t ever win. “I can’t see the things that lead to happiness, I must be blind.” There should be a level of autonomy to who you are and how you feel about yourself. By comparing yourself to others too often, you are either inflating or deflating that which is unique and special about you. “I tell you to enjoy life….” forget the rest.